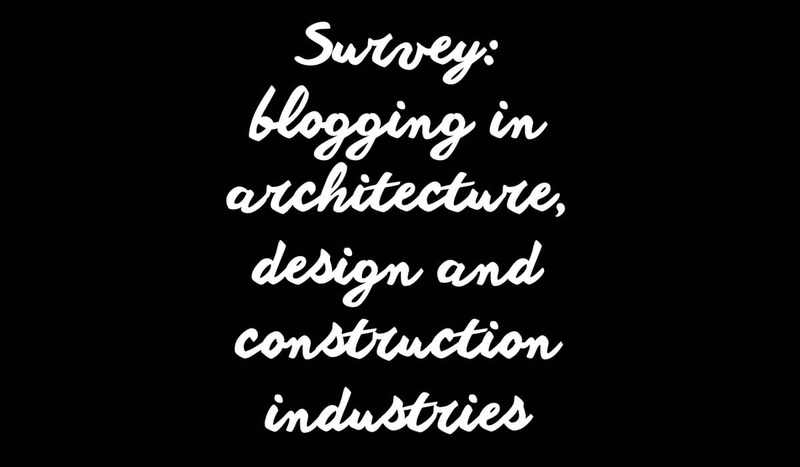 [tweetmeme] In January of this year, we conducted a survey on the use of blogging amongst professionals in the architecture, construction and design industries. It revealed some interesting results on why participants launch and maintain blogs, how often they publish posts, how many people contribute to blogs, what they have achieved by blogging and what advice they would give to others thinking about blogging. This wasn’t a huge survey, but we had 33 respondents through Twitter, Linked In and the blog. 17% of those were in construction, 23% design and 34% architecture. 26% were from other industries. Why did you launch the blog? Given the diverse range of answers, it appears that participants were driven by a whole host of reasons for launching their blog initially; from the need to create a “virtual commonplace” for like-minded industry professionals to the desire to communicate a greater sense of their company’s “personality”. One fifth of participants also claim to have started blogging as a way of informally expressing industry opinion, jointly followed by the promotion of company websites and the sharing of ideas and experiences. Only one in 10 participants, however, seem to have started blogging in order to increase online presence or boost traffic flow to company websites, which is interesting. Why do you run the blog now? Comparing the results of the above two questions, there appears to be a complete turn-around in reasons why participants first launched their blog and why they continue to blog today. Rather than seeing blogs solely as informal arenas for expressing industry opinion, participants now run blogs primarily to engage with their communities. Using blogs as marketing and PR tools follows with just over one fifth of participants utilising the activity for more strategic reasons. All in all, this shows a complete change in attitude towards blogging: from its usage as a space for individual expression, to its use as a tool for community engagement; the shift in approach has been from monologue to dialogue. How often do you publish posts? Responses to question 4 also vary considerably. The results demonstrate that almost one in five participants publish posts at least once a week, followed by those who publish posts daily (16%), then monthly, occasionally and hardly at all (9%). Those who responded as ‘other’ detailed varied frequencies, from “once or twice a month” to “two to three times a day and twice at weekends”. It is important to note that the frequency with which participants publish blog posts is entirely dependent on a number of factors, from blogging strategy and objectives to the amount of time reserved for the writing and publishing processes. However, the single most influential factor which contributes to blog post-publishing frequency is the number of people contributing to it – a question posed in the final question of this survey. How many people in your organisation contribute to writing posts? Whereas 50% of participants across all three industries are exclusively responsible for blogging within their organisation, 25% are part of a team of up to 6 people who share responsibility. This could explain why almost half of respondents publish blog posts only once a week or less, suggesting that industry professionals may be struggling to keep up with the time-consuming nature of maintaining a blog. The 50-50 split between independent and group bloggers is also interesting to note. What has the blog achieved for you? A sharp increase in visitor numbers. A stronger connection with our audience. 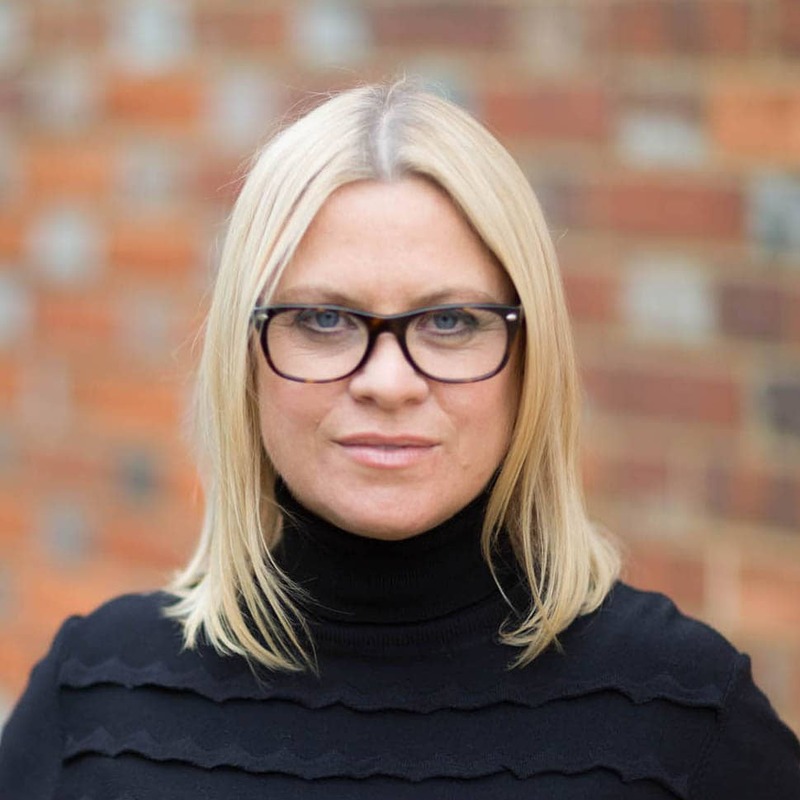 New jobs, connections and speaking opportunities. A wider readership both nationally and internationally. What sort of advice would you give to companies launching a blog? Write about meaningful subjects in your industry to show you care about what you do. Understand why you are launching a blog. It must be purposeful, intentional and distinctive. Have a clear idea of what you want to achieve from the blog and tailor posts to that end. Don’t be demoralised, keep posting whatever your visitor numbers may be. Be clear about what your blog is about. Have plenty of content in place and link your blog back to other sites. Post focused content and post consistently, but at a comfortable rate. Avoid large gaps of silence. Plan for results to take a while.